Nagoya is Japan's fourth largest city (pop. around 2,1 million). Altough the 3 great leaders of the Azuchi-Momoyama period (Oda Nobunaga, Toyotomi Hideyoshi and Tokugawa Ieyasu) were all born in the vicinities of Nagoya, the city is not a major touristical destination. However it is conveniently located on the shinkansen line 30-45min East of Kyoto and Osaka and 2h West of Tokyo, and is a good base to visit Ise Jingu or the Gifu prefecture. Visitors coming by train will first set eyes on the JR Central Towers above the station. The JR Central Tower Office has 51 floors on a 245m height, while the 226m JR Central Tower Hotel houses the Marriot Associa Hotelon its 53 floors. The Takashimaya and Matsuzakaya department stores are also housed in the station. Built in 1612 by Tokugawa Ieyasu, it is a typical example of plain castle with defensive moat. The castle was the residence of the Owari branch of the Tokugawa family until 1867. The castle was destroyed by American air raids in 1945. The present building is a 1959 ferro-concrete reconstruction with an elevator (lift) inside. The castle is famed for its two golden dolphins on its roof, which appear on most souvenirs. The gardens are quite large and attractive during the cherry blossom or autumn leaves season. Tickets can be purchased either at the main gate (south-west) or east gate. Located 5km south of Nagoya station, it is one of the three most sacred Shinto shrines in Japan along with Ise Jingu and Meiji Jingu. Atsuta Jingu houses the sword "Kusanagi no tsurugi" (grass-cutting sword), which is one of the the three Imperial Regalia (sanshu no jingi). The two others are the mirror in Ise Jingu and the jewels in Meiji Jingu. The sword, also called "ame no murakumo no tsurugi" was given by the Sun Goddess Amaterasu to her grandson to fight an evil kami who had taken the shape of a giant snake. Atsuta Jingu can be accessed by subway (Meijo line, Jingu Nishi Station), JR Tokaido line (Atsuta Station) or Meitetsu line (Jingu-mae Station). 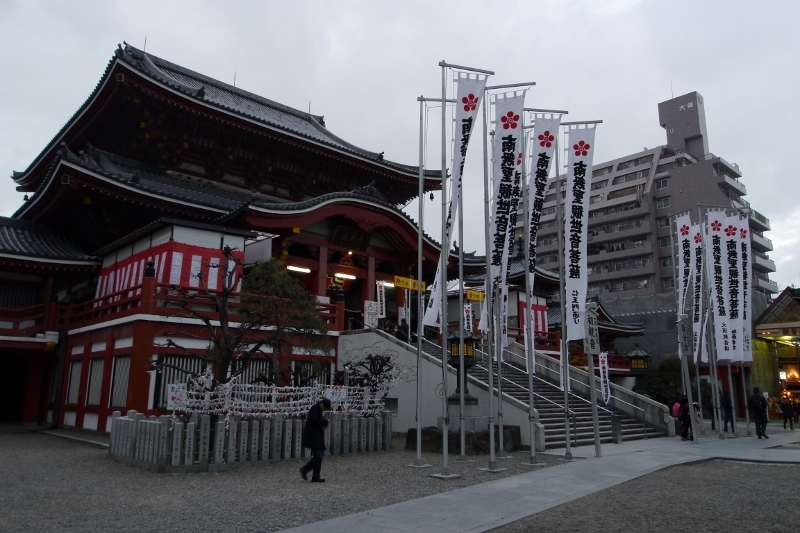 Relocated in 1612 from Gifu prefecture to central Nagoya by Tokugawa Ieyasu, Osu Kannon is probably the most interesting Buddhist temple in Nagoya. 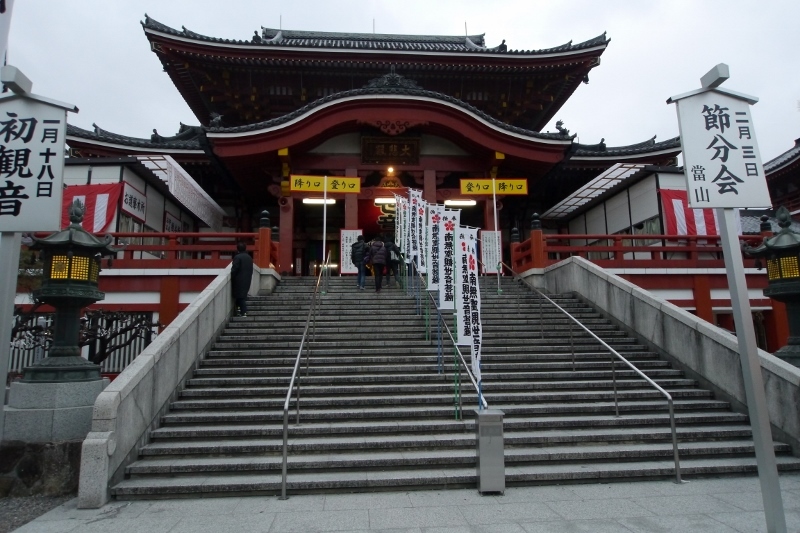 Dozens od smaller temples and shrines can be found around, as well as the provincial feeling Osu Shopping Arcade. 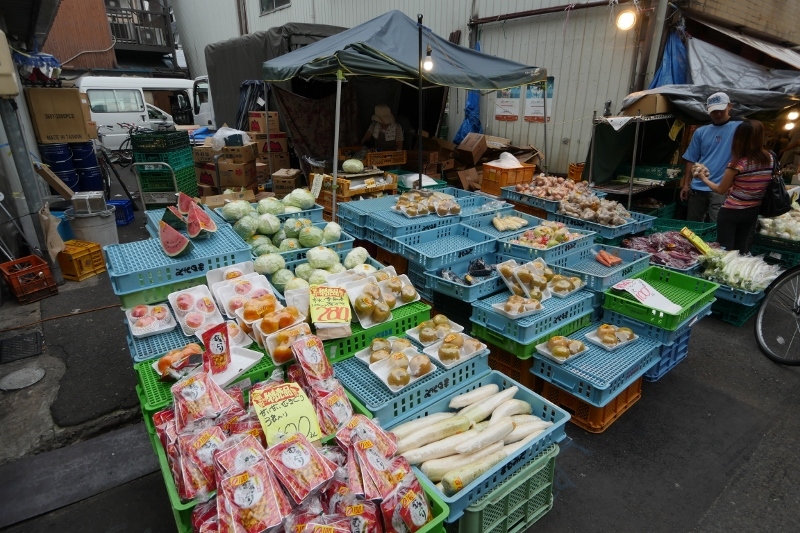 An antique market is held on the 18th and 28th of each month.